Can we be satisfied without getting wet? Let's take a soul-soothing dip in the pristine waters of Sanapur lake under hot Hampi weather! What more? lazy lunch on the cozy beds of a cafe, lot of socializing, good food, music & bonfire...all of them to quench your thirst for an offbeat & laid-back weekend..!! Lets just #getmuddie this weekend! 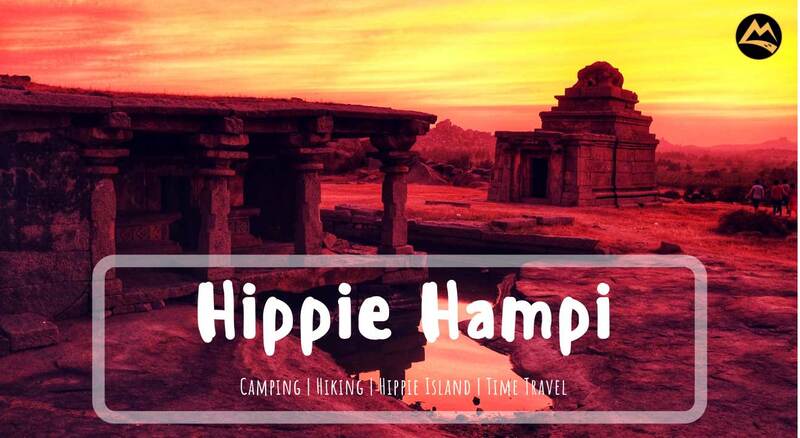 Reach Hampi campsite, freshen up & breakfast, hike up the magnificent Anegundi Fort & wonder at the amazing views from the top! Break for a nice lunch in the middle. Post lunch enjoy the cool breeze of the pristine Sanapur Lake take a dip if you wish to, go on a coracle ride on the lake (optional & self-sponsored), take lots of selfies, relax and rejuvenate. Visit the most famous stone chariot The Vijaya Vittala temple & take selfies with the historic & beautiful monument. The route to Hampi from BLR is pretty bad. Please be mindful of this fact. Muddie Trails is NOT a tour operator. Muddie Trails is a offbeat travel experience provider. Our schedule is flexible. Organizer may choose to switch/re-arrange parts of schedule based on need. Muddie Trails provides real offbeat experiences for the travelers like trekking, hiking, camping, bonfire, adventure activities, barbecue, visiting, exploring and experiencing the less known but awesome destinations that are not crowded with tourists. We do NOT take travelers to a tourist place unless it is required as a "filler" in the itinerary between two offbeat places. Travelers are requested to refrain from asking our organizers to take them to ABC temple or XYZ church. The itinerary is already decided and posted based on our offbeat theme. The organizer will only change the itinerary/schedule if any place cannot be done because of unpredictable reasons. If you have a wish list of tourist places to tick off in your mind, then probably Muddie Trails is not for you and we request you - please do not register.